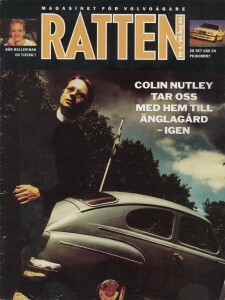 Ratten is the client magazine issued by Volvo Sweden. 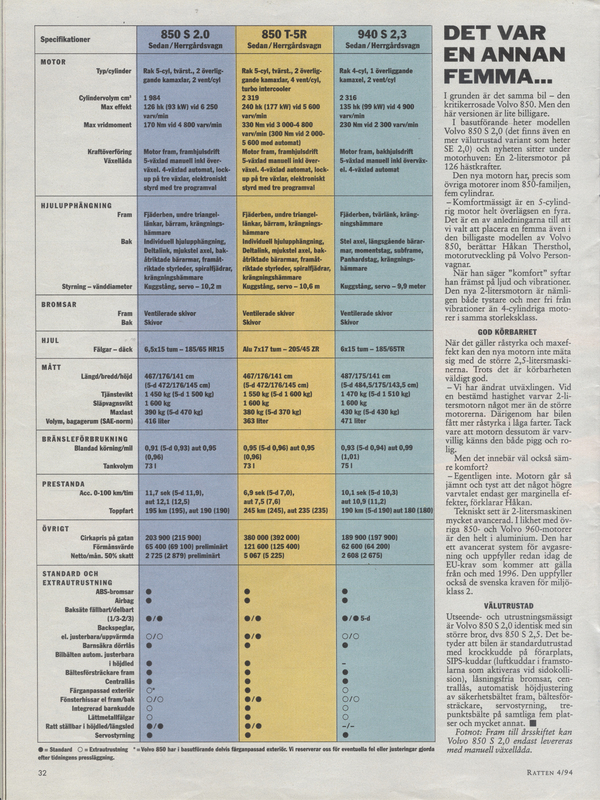 In issue 1995 #4 there is an article about the projectteam. 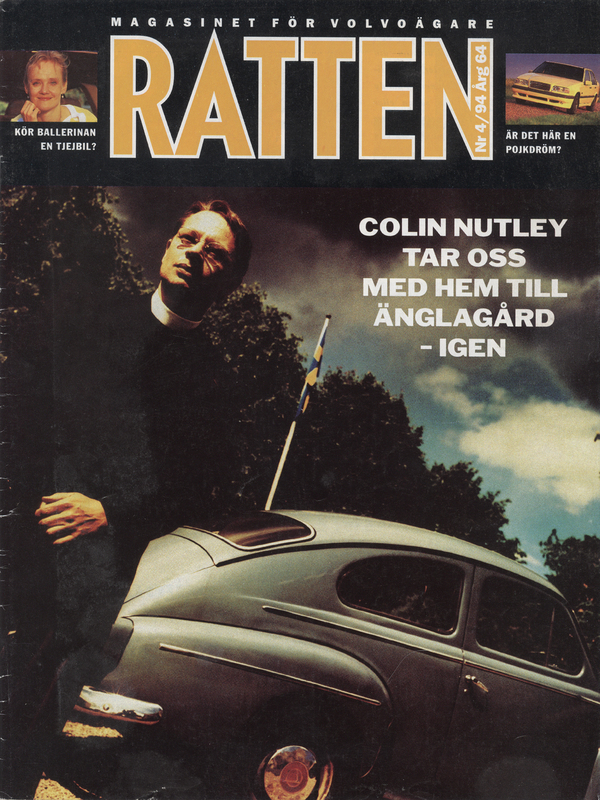 And a ‘centerfold’ with the yellow sedan. 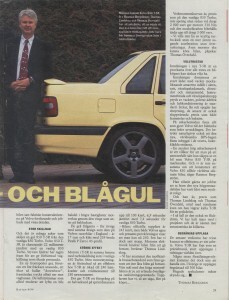 Volvo’s sharpest , the yellow 850 T-5R, have drawn up as a wildfire in various newspapers . Wonder trio in the picture smiles so happily. They have been involved with and shown to Volvo among the world when it comes to quickly take develop new products. THAT THE THREE product managers Thomas Överdahl, Thomas Lindskog and Rasmus Bergström has succeeded is obvious. 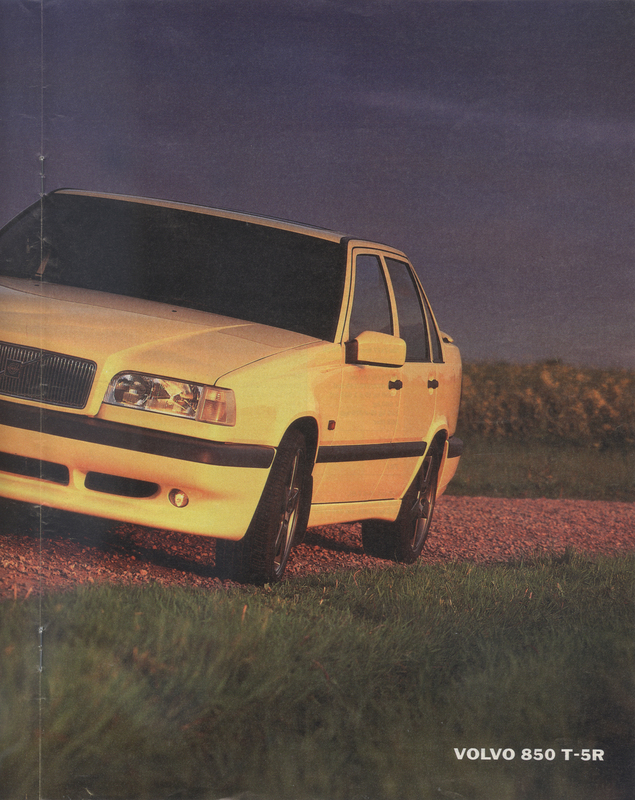 For the story of the advent of the Volvo 850 T-5R is an equally fast-paced story that the car itself. From pre-conception to production start-up , it just took on the day, one year. 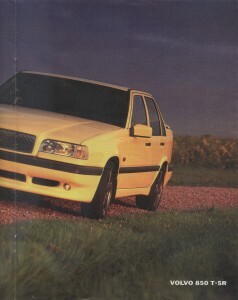 The background to this project was the following: how would the Volvo 850-serie marketed abroad? How could continue to surf on the wave of success that 850 created? Several ideas were discussed and product experts from Volvo Group companies around the world got to comment. 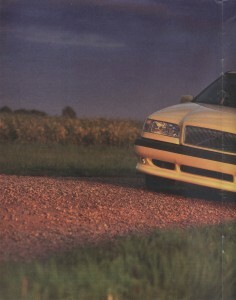 The difficulty was to reach the attention to distant markets where Volvo is just a little odd car brand . – Even if we think that we manufacture the world’s best car – so I just had to get people abroad to discover the said Thomas Lindskog and the rest. One way to get attention is: Build an exclusive, high-performance version of the popular car model in a limited edition. And above all, paint it in a different, attractive color. Volvo T-5R is not only fast and stylish. It is also tactically correct – it means that 850 surf on the wave of success. But actually, it was partly a coincidence that decided the final design. The three product managers had many good ideas, but they felt that something was missing. – Yeah, we did not think we came all the way. But on a visit to Volvo’s design department showed Ingvar Malander , responsible for the development of new colors, a new color suggestions. Our car was complete. Yellow, with a special glow. – The car looked considerably more speed-filled and exciting. The yellow color was a very, strong impression. A few hours after meeting with Malander was the whole idea of T-5R rewritten on paper. A few days later, the Volvo Cars management given the go ahead. Then everything went in a hurry. Thomas Överdahl, who was responsible for the technology, had not many vacant seconds. – Two years is a normal takeoff when making a new model variant . But we had only a year. In less than one week, the trio put out a job at the design department, the various engineering departments as well as with a number of subcontractors. – To say that we made a flying start is probably a major understatement , says Thomas Lindskog. 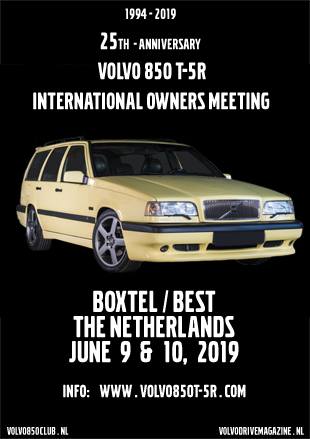 Just a few months later shown the yellow Volvo 850 T-5R up at international motor shows. – We were obviously a bit tense at the reactions. That they would be so overwhelmingly positive was probably no really prepared for. It did not take many days until Volvodealers worldwide began to have questions about the new car. 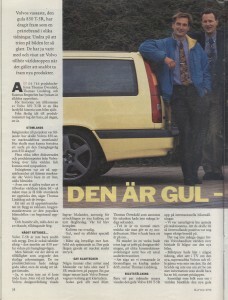 – Car buyers had read in a newspaper, or seen on TV about the new, super-fast Volvo and wanted to know more about it. Some did not even bother to ask for more information but would only have a car, no matter the price tag. 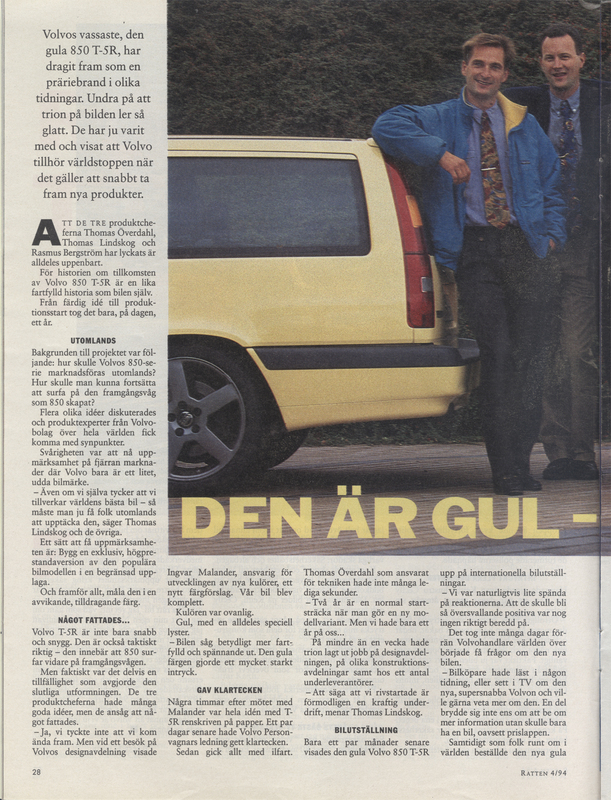 While people around the world ordered the new yellow car actually designers at Volvo were still working on some details. A new front spoiler gives, besides a little bolder appearance, greater so-called “downforce”, the front end is pushed then down the road. The air currents that always tends to lift a car tail at higher speeds countered by the wing on it’s tailgate. The gray wheels – otherwise has the same design as those on Volvo’s racing cars in England – is 17 inches and is dressed with 205 – wide Pirelli P Zero in 45 profile. 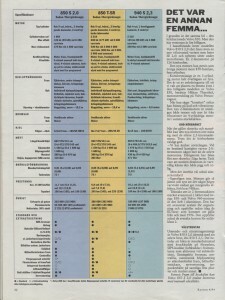 The engine of the T-5R is the same five cylinder as in regular 850 Turbo. But the motor control is altered so that the effect of the T-5R is increased to 240 horsepower and torque to 330 newton meters. This gives T-5R a head start on a half-second in the sprint distance up to 100 km/h, 6.9 seconds compared to 7.4 seconds for the standard 850 Turbo. – The car’s official top speed is 245 km / h , but both Volvo’s own and the press test drives show that one can reach the 250th Then , we have halted . The engine electronics will prevent the car from going faster , says Thomas Lindskog. The torque curve is, just like on the regular 850 Turbo, not pointed, but even at just over 2000 rpm the engine delivers 330 Nm and the muscle strength is maintained right up to just over 5000 yards. – We did not have a sharp turbo-kick but a more evenly sucking acceleration without surprises. Even grandma will be able to drive the car , says Thomas Överdahl. The interior of the new T-5R is a sample map of all extra a car buyer could possibly want. The interior is dominated by black leather with beautiful suede -like Amaretta inset in the seats, steering wheel, gear lever gaiter, door panels and center armrest. Instrument board and shift knob adorned by beautiful, polished hardwood and air conditioning are standard. Chairs, locks and mirrors have power steering, the latter is also heated as both front seats and rear seats. On the safety side is everything that has made Volvo the car brand leading the trend . This means of course that the new , globally unique SIPS built into the black, leather -clad seats. – A very high level of safety is a condition of the man in a responsible manner could drop off a car that Volvo 850 T-5R in the market. And we are not togheter to take note that the Volvo 850 is among the world ‘s safest cars, says Rasmus Bergström. He is happy to work to develop the new high performance car has been hard but very enjoyable. And he’s, like Thomas Lindskog and Thomas Överdahl, happy with the result although he refuses to call T-5R for a boyhood dream. – If so, is it also a girls dream. We have had girls in the project and they’re almost more excited than the boys. In recent weeks, the trio has been able to see the impact of their work. 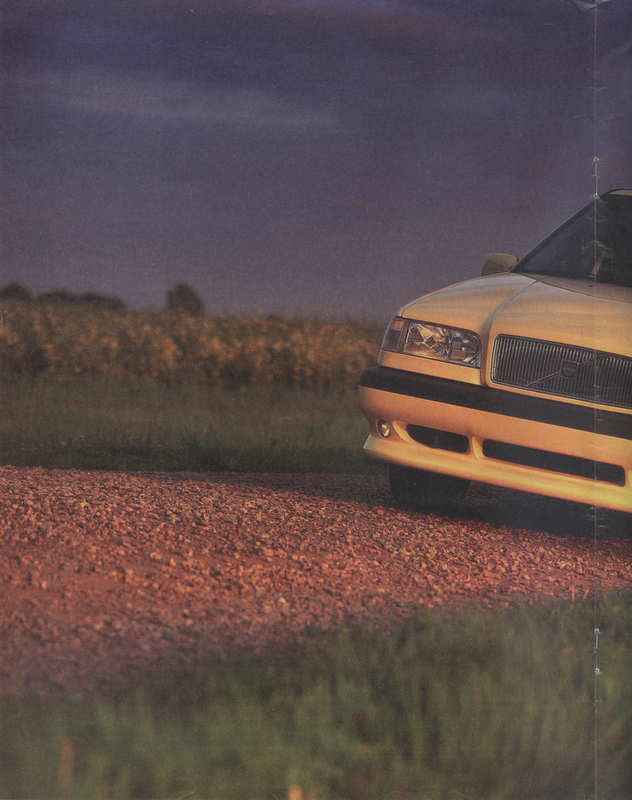 Volvo T-5R has run like a prairie fire, large unresolved in newspapers worldwide. Some large sales volumes will not be about. In Sweden, the edition limited to 300 vehicles.